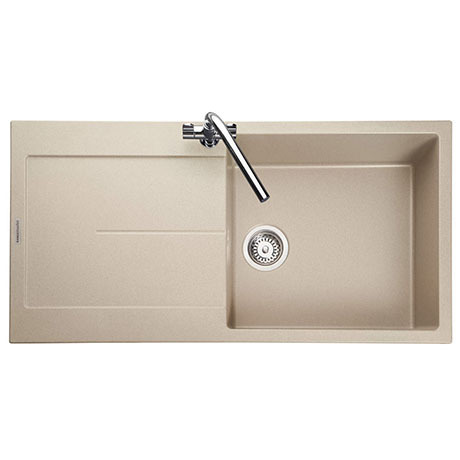 Rangemaster's minimalist Scoria sinks offer a contemporary look with it's sleek drainer and large geometric bowl. Made from Igneous, a rock solid composite material incorporating 80% quartz and high-grade acrylic giving scratch, UV resistant and natural antibacterial properties. All Igneous sinks come with a 25 year guarantee.